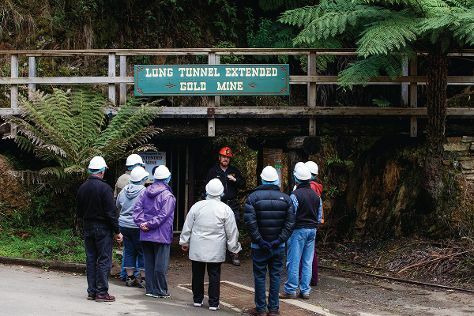 Venture out of the city with trips to Bairnsdale (St Mary's Catholic Church & East Gippsland All Abilities Playground), Raymond Island (in Paynesville) and Long Tunnel Extended Gold Mine (in Walhalla). Next up on the itinerary: kick back and relax at Lakes Entrance Beach, take in the dramatic scenery at Agnes Falls, snap pictures at La Trobe Swing Bridge, and explore the activities along Gippsland Lakes. To find maps, traveler tips, where to stay, and more tourist information, you can read our Sale road trip site . In January in Sale, expect temperatures between 30°C during the day and 15°C at night. Wrap up your sightseeing on the 6th (Sun) early enough to travel back home.